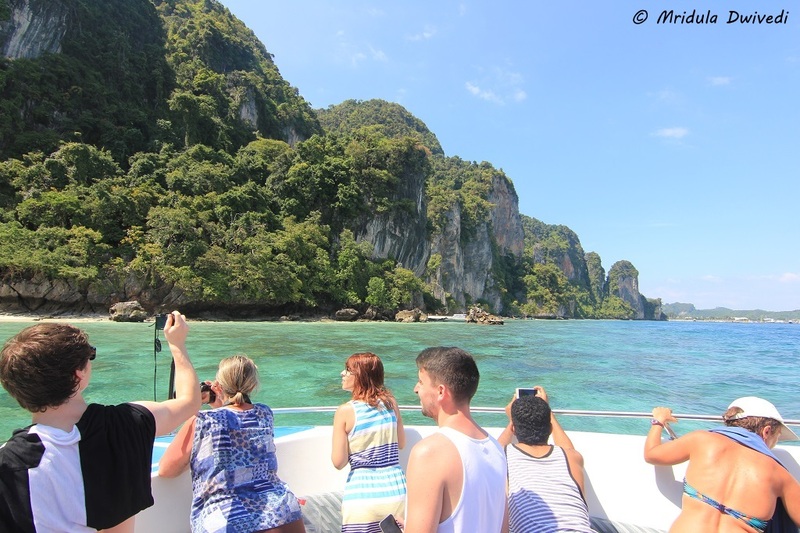 Island hopping is the most popular activity in Krabi! 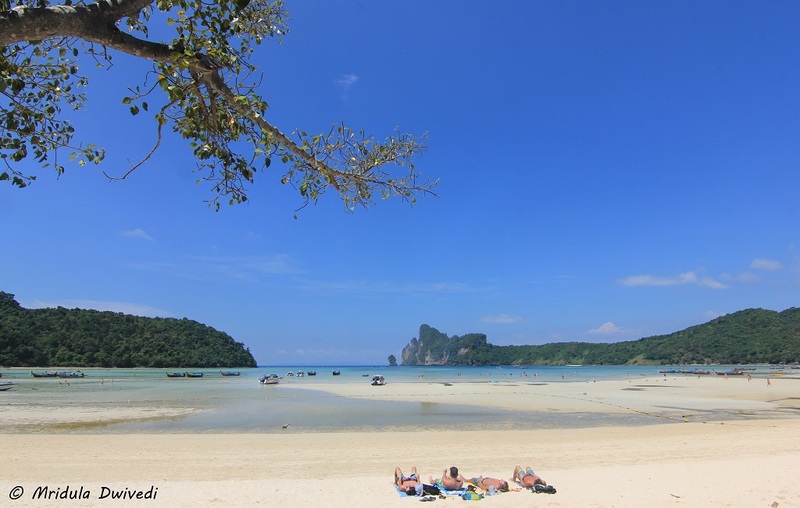 There are two popular island tours in Krabi, the Phi Phi Island Tour and the Four Island Tour. I have now done both plus I have hopped over to Hong Island in a private speed boat. I love the beautiful islands of Krabi by the Andaman Sea. However, you need to keep a few things in perspective to enjoy your tour. 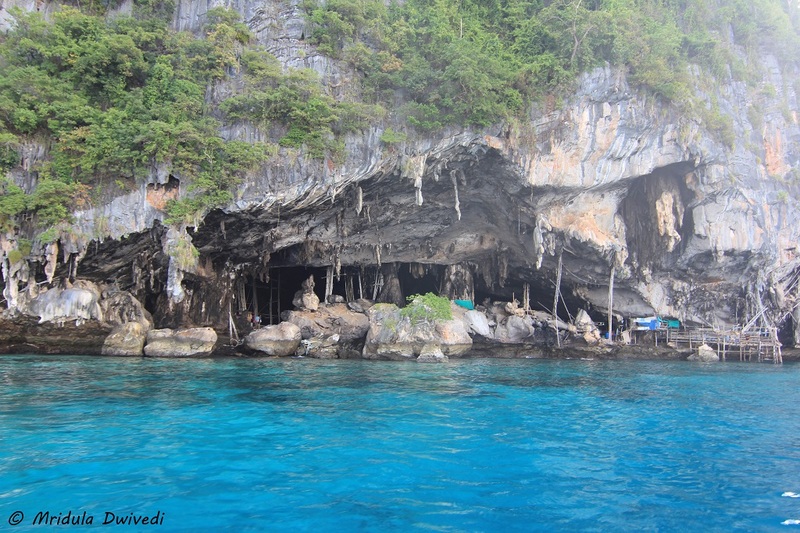 The pictures in this post are from the Phi Phi Island Tour but many experiences are common to both the trips! It is Going to be Hot and Sunny if You are Lucky, Else it Will Rain! Its Going to be a Day Out in Sun! I have been to Thailand seven times by now. I have been there in various months. But whenever I went it was warm/hot and sunny! It is lot of fun if you are coming from a cold country! If you are from India it could feel a bit like home! Be prepared mentally that you are going to be in the sun for the whole day when you go island hopping. But I would take sun any day on a beach rather than the rain! Most of us will do the tours in a shared speed boat. Private speedboats are available but they cost a bomb. 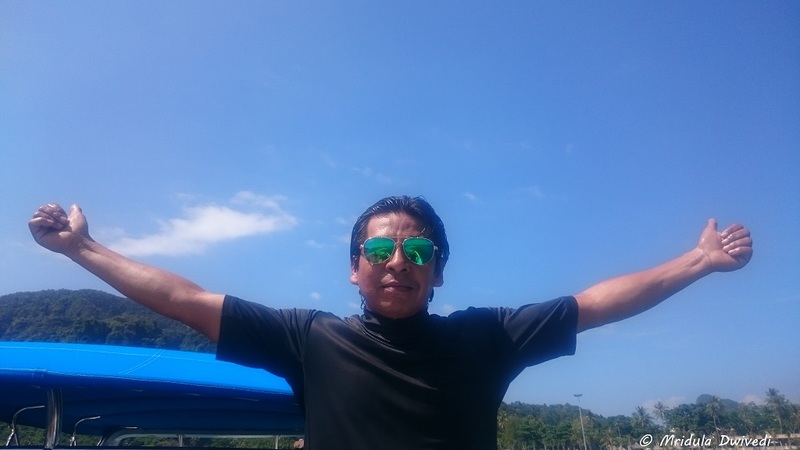 On both my trips, the four island trip last year and the Phi Phi Island tour this year, I firmly remained on the deck of the boat and got baked. But that is my choice. There is a covered area in the boat but I never ever considered it. 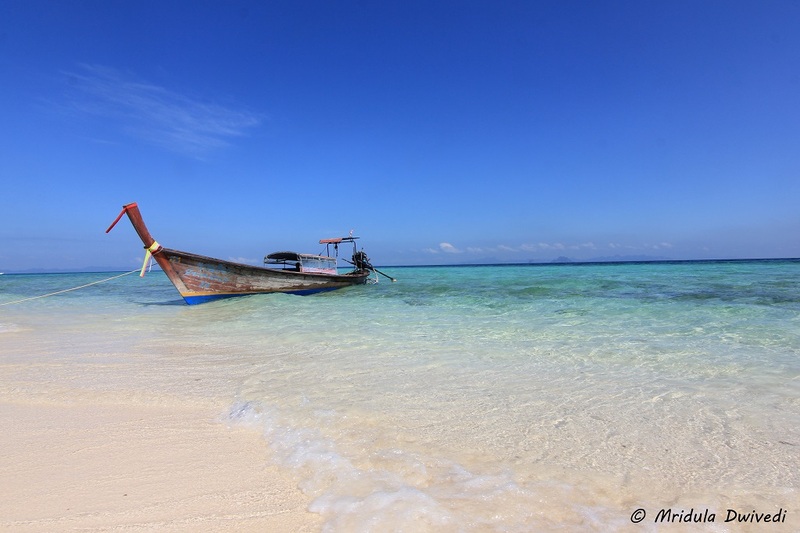 Our first stop on the Phi Phi Island Tour was the Bamboo Island which is a national park. That means, no resorts, no restaurants, nothing. You only get to enjoy the stunning natural beauty. If you ask me it is a very good thing. So, as soon as you hear the word national park forget shacks, forget beer, forget everything and enjoy the nature! On the island hopping tours snorkeling opportunities are available. But they give you a snorkeling mask, a life jacket and assume that you know how to do it. 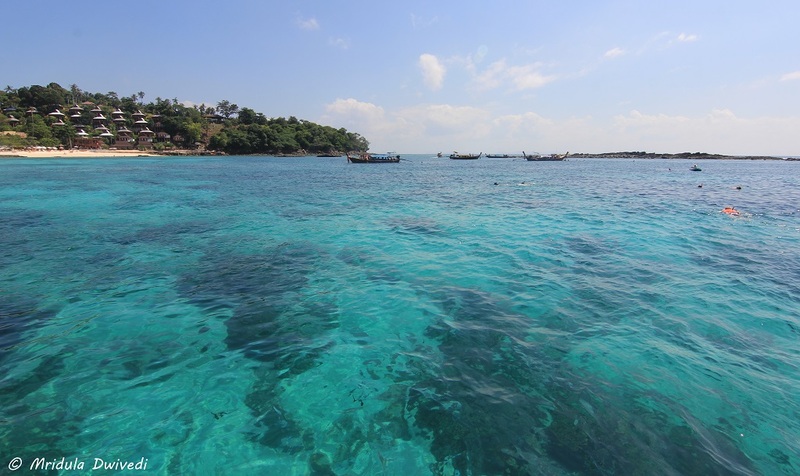 Some of the snorkeling sights are in the bays and deep sea. If you do not know how to swim or use the snorkeling mask, chances are you will not be able to do it. Of the two, knowing how to swim is more important. If you ask nicely, someone will tell you how to use the mask but if you do not know how to swim then you may not have the confidence to venture in the sea. Personally I liked the snorkeling more on the Phi Phi Island Tour. On the Four Island Tour the snorkeling was average. Phi Phi Don is very popular with backpackers. It is the party island as well. You will find plenty of restaurants, shops, beer and hotels here. We had our buffet lunch on this beautiful island. Whatever is in the set buffet is included in your tour cost. If you want anything else, it will be extra. They cater to vegetarians easily but it would be Thai food. Do not expect Indian food on the island tours. When I did the Four Island Tour, the lunch was a packed lunch, we didn’t even go to a restaurant. 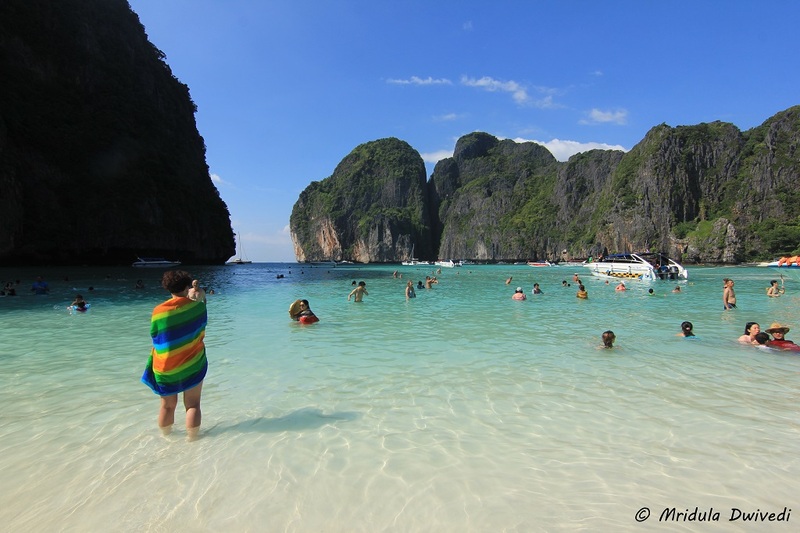 The Phi Phi Island Tour includes a trip to the Maya Bay. This beach became extremely popular because of the movie ‘The Beach” starring Leonardo DiCaprio. But that is what, it became popular, so it is crowded. I wish I read this BBC story on the Maya Bay before I left for Krabi though. Most of the islands are popular with tourists and get packed during the season. 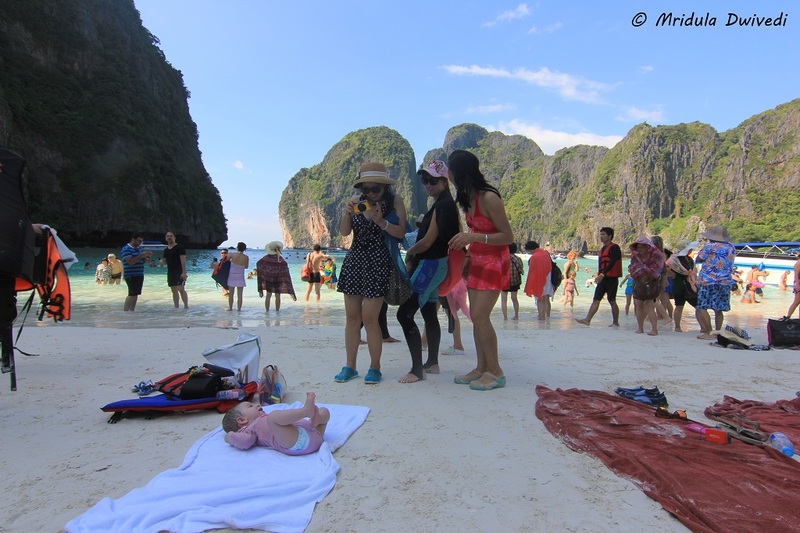 We found this cute baby on the Maya Bay. The parents had gone in the water. They could see the baby all the time. Anyway this is a small island with nowhere to go without boat! There are no restaurants, hotels or hawkers. The cute baby got so much attention from everyone. People would come, coo and then go on their way! After a while the mother emerged but the baby and the people around were not willing to budge! A lot of people speak some English in Thailand, particularly if they work in the tourism trade! But it helps to remember that English is not their first language. They are mild mannered and they expect the same in return. Or else they keep quiet and don’t cooperate, which I believe is fair! Our guide (on another tour) in Krabi drove off in his Hilux Pickup Truck after the tour got over! We all were happy to see that he was doing well! Island hopping means being in and out of water for the whole day. It helps to wear a swim suit and put a wrap over it. You need your beach slippers. On many beaches you will go bare foot! If you wear a dress that doesn’t dry off easily it can be a little difficult to enjoy the day. There was an elderly couple on our boat. They spoke almost no English. The gentleman took this picture of mine. He signed to me to raise my hands, which I happily did. Later in the day they gave their camera to me asking to take their picture. I asked them to raise their hands too! Who says we need to know the language to communicate. Politeness, grace and friendliness get conveyed by gestures and body language! I do not say this often, but I do feel truly blessed for the travel opportunities I get, the day in Krabi was one such day! PS. I wrote this post with an Indian audience in my mind. PPS. 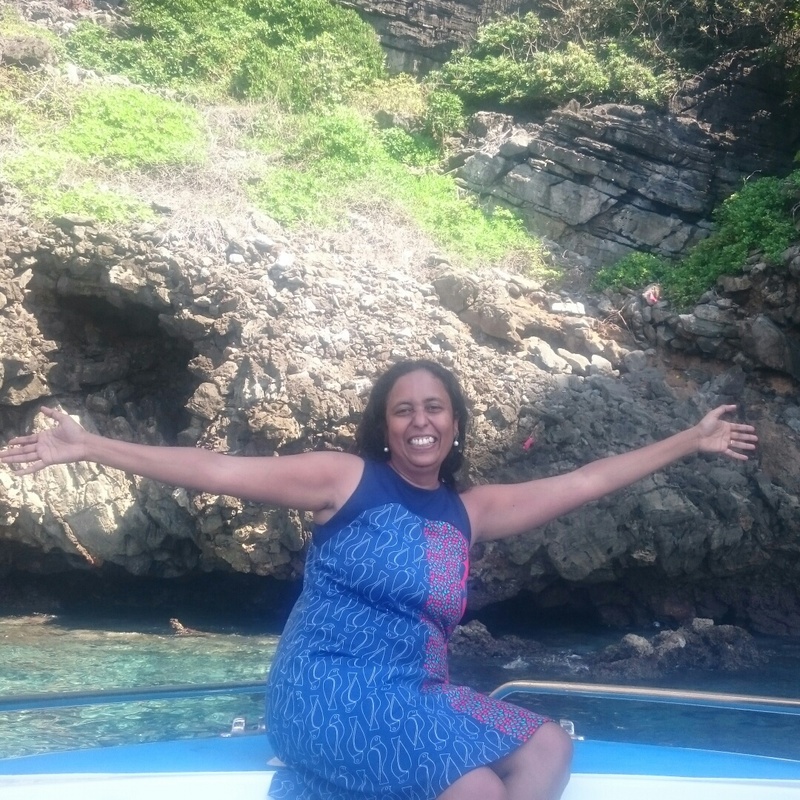 My trip to Thailand was in collaboration with Byond Travel.